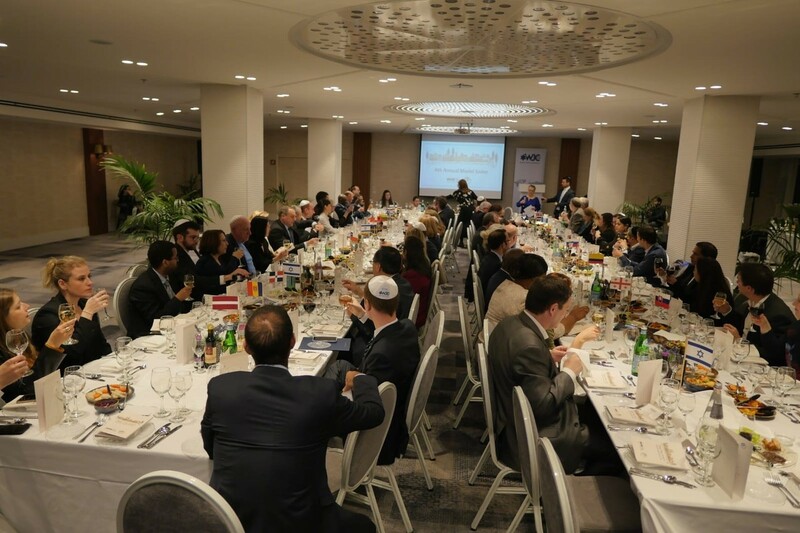 TEL AVIV – The Israel branch of the World Jewish Congress on Tuesday hosted a model seder in honor of foreign ambassadors and journalists stationed in Israel, at the Carlton Hotel in Tel Aviv. Approximately 30 diplomats from around the world took part in the Passover ceremony, which included the reading of the Haggadah, a traditional festive holiday meal, searching for the afikomen (a piece of Matzah broken off and hidden until dessert), and a performance by the Beit Tefilah Israeli choir. The afikomen was found by the ambassador of Honduras, who was given a souvenir depicting Jerusalem as his prize. This is the fourth year that the WJC has held a model seder in honor of the foreign officials, this time with a theme focusing on the power of women. Television personality Sivan Rahav Meir was the emcee for the evening, and in a symbolic gesture to the traditional four glasses of wine, honored four strong Israeli women: Hanna Pri-Zan, Chairman of the Board at Peilim Portfolio Management; Orna Hozman Bechor, Chairman of the Ashdod Port; Dr. Emily Landau, senior researcher and the INSS; and neurobiologist Dr. Yaara Yeshurun Dishon. Guests at the seder included the ambassadors of Russia, Australia, Colombia, Croatia, Albania, Honduras, Finland, Ecuador, Nigeria, and more. Senior diplomats from Austria, Ethiopia, Guatemala, and Ireland were also among the guests. 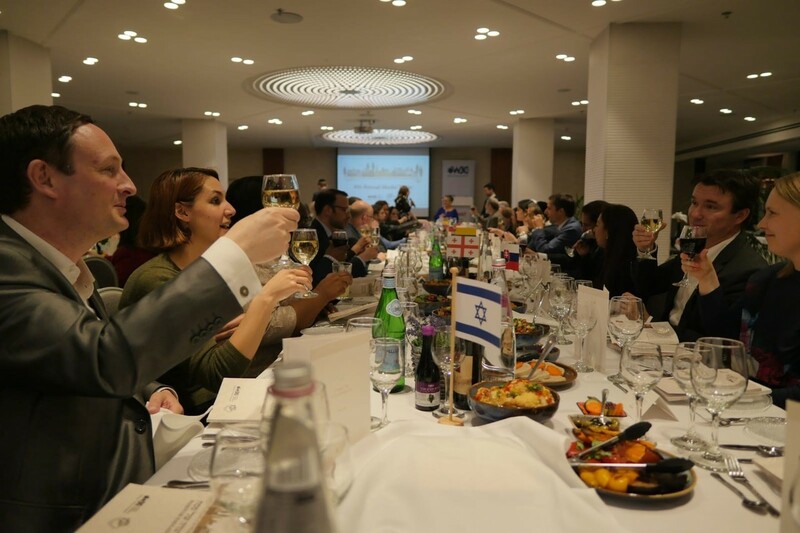 Gad Ariely, Chairman of WJC-Israel, honored the guests with a warm welcome, and said: “WJC Israel is pleased to host senior diplomats and ambassadors from around the world for a small taste of the Jewish tradition that spans so many millenia. We see deep importance in introducing foreign diplomats to the traditions of this land, and we aim to continue strengthening and deepening these ties between Israel and the international community,” he said.